This year’s Singapore Toy, Game & Comic Convention (STGCC) marks the 6th STGCC that POPCulture Online has covered in the capacity as media. From a simple coverage plan with a small team to one that has grown to eight members this year, our coverage plan has also grown in complexity. This also means that from a simple writer/photographer role, I have gone on to be the one coordinating the coverage of STGCC. 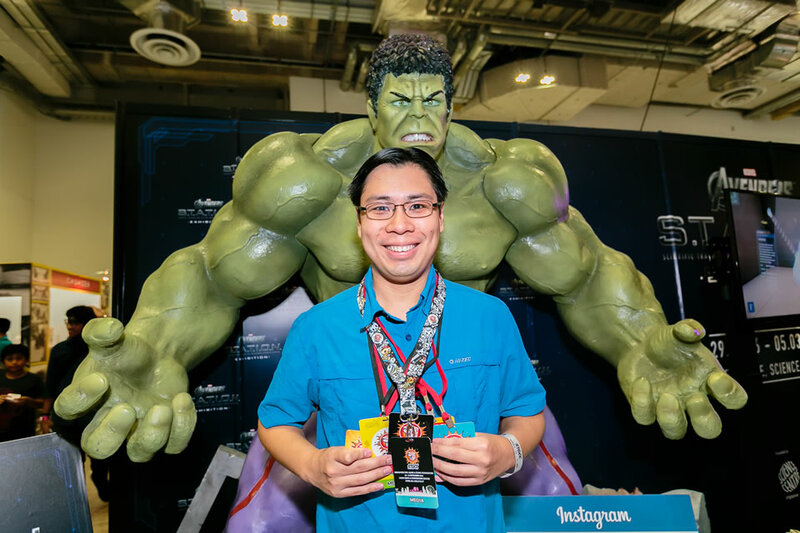 This role also meant that I have been too busy since then ensuring that POPCulture Online’s coverage of STGCC goes according to plan and supporting my team as they carry out their coverage duty. While it has been a learning experience each year, it also meant that I never really got time to buy anything for myself since STGCC 2011 where Elliott and myself queued up at 6am at Suntec for Hot Toys exclusives. Yet this year at STGCC 2016, I have finally bought something – the Tokidoki x STGCC Lanyard! Tokidoki has always been a staple at the Singapore Toy, Game & Comic Convention and it was a no brainer that I was going to get it. Not only was it reasonably priced, the design is also attractive and it will be something I can use for work so why not. Would this be a start of me buying something each STGCC from now onwards? Who knows but if the good people at ReedPop are going to release reasonably priced merchandise that is also practical for everyday use, you can be sure I will find a way to get my hands on it, even if it means sending POPCulture Online’s resident ah boy / minion to get it. Till the next Singapore Toy, Game & Comic Convention which is going to be the 10th anniversary (hopefully a special edition lanyard will be out), we hope you enjoy our STGCC 2016 coverage as much as the team enjoyed putting them together.